People who listen to prosperity gospel teachings feel more positive but they're not necessarily learning any theological content, a new study suggests. The University of Toronto released last month a study in the journal of Psychology of Religion and Spirituality, which named such preachers as Joel Osteen, T.D. Jakes and Creflo Dollar. The study, a copy of which was shared by author Nicholas M. Hobson of the Department of Psychology at the University of Toronto, noted that the prosperity gospel movement is "one of the fastest growing religious movements in America." “The prosperity gospel grew out of the 1950s grassroots Christian revival scene. 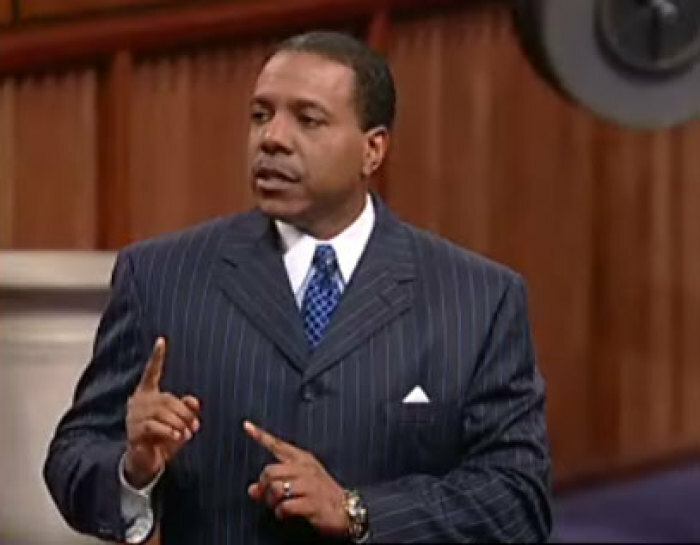 The boom in prosperity gospel movements resulted from the popularization of ‘televangelical’ figures such as Joel Osteen, Creflo Dollar, and T.D. Jakes,” it states. “The central doctrine of the prosperity gospel is that God wants a person to be blessed. It says that material blessings are part of God’s will, and to benefit from these blessings, a person must (a) demonstrate positive thought or speech on a regular basis and (b) donate a certain amount of money to the church ministry. The study included experiments where both theists and atheists were asked to listen to a prosperity gospel message, with their feelings measured afterward. It tested heightened optimistic bias and effects on financial risk-taking resulting from the teachings. “Specific to positive affect, we found that the prosperity gospel resulted in a boost of high-arousal positive affect, even for the group of atheists. This supports the idea that the prosperity gospel’s impact may be less about appealing to a person’s beliefs and more about making them feel good in the moment,” the study's authors found. “Together, the current findings imply that the prosperity gospel’s growing success as a religious belief system might be attributed to its arousing, positive experiences — not to its theological teachings,” they stated. In their conclusions, the researchers said that “prosperity gospel messages heighten optimistic bias and risky financial behaviors." They added that mood-boosting effects, rather than the religious content, seem to be more directly responsible for the growth of the prosperity gospel movement. "Ironically, its success as a growing religious movement might be less about feeling God, and more about feeling good," they said. The Christian Post has reached out to representatives of Osteen, Jakes and Dollar for a response to the study, and will update the article should any be received. Lakewood Church spokesman Donald Iloff Jr. told The Houston Chronicle that Osteen's message is not exclusively about financial gain. "To characterize the message focusing on material wealth is a rather shallow analysis of Joel's message," the spokesman argued. "He has said many times material things are not the focus." Iloff added that Osteen talks about "a God who wants what's best for you," which could include owning a successful business. Osteen has rejected the label of prosperity gospel pastor. He told CP in October, "I think there is only one Gospel and that is the Gospel that Jesus died and rose again. When I think of prosperity, I think of someone asking for money. I don't do that." "Prosperity is having good health and being able to sleep at night and having good relationships. It's having money to pay our bills and follow your dreams. It is not about wealth and getting rich. That is kind of what I see when I hear 'prosperity,'" he told CP. "I talk about all types of things. On purpose, I stay away from money [in my sermons] because people already think TV pastors are frauds and all that. I try to stay away from that, but I do believe God wants you to be blessed." He noted, however, that he's not bothered when people call him a motivational speaker more so than a pastor, emphasizing that he wants to motivate people to know God. "I have friends that are great teachers, I have other ones that speak on prophecy. To me, you got to be who God made you to be. I have been this way before I was a pastor. I was always upbeat and encouraging. That is where your anointing is — is what God made you to be," he said.